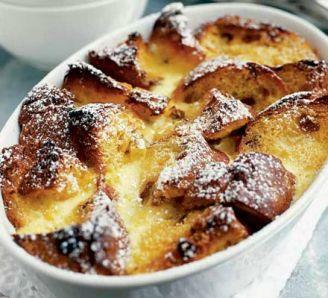 A wonderful Jamie Oliver Christmas Bread and Butter pudding. That recipe looks amazing. I love bread and butter pudding. My mum used to make a version of it, which me and my dad couldn’t get enough of! I really like the look of this one. It looks a complicated recipe at first sight, but it’s actually quite an easy recipe when you look through it. It’s on my list to make this Christmas. Thanks. Yes my grandmother used to make it too. 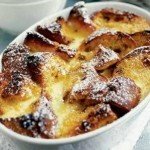 I’m not a lover of milk, but having tried Bread and Butter pudding, it’s actually quite nice. I would probably swop skimmed milk for almond milk, but stick with the same ingredients. From what you say about your mother’s recipe, it’s clear there are different interpretations on the classic Bread and Butter pudding and that’s always nice.